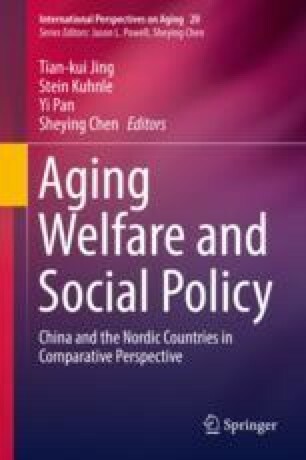 This chapter aims to map the twists and turns in the development of long-term care policy in Finland since the start of the 1990s. The main argument of the chapter is that these changes have to a large part been motivated by what is called here ‘demographic panic’, that is, fear of consequences of population ageing to the public purse. Various policy changes have taken place during the last three decades. Since the late 1980s, Finnish long-term care policies have been made under the shadow of the ‘demographic time bomb’ discourse that argues that care expenditures are to rise exponentially if determined action is not taken to curb the expenditures. As a result, the focus of policy has been on preventing the increase of the costs, not on developing care provisions that are needed by the growing older population. Before taking these policy turns under closer examination, key statistics concerning development of the age structure as well as the use of main care provisions in Finland are presented. National Audit Office of Finland. (2017). Fiscal policy evaluation assessment on the management of general government finances 3 November 2017. Retrieved April 15, 2018, from https://www.vtv.fi/files/5919/Fiscal_policy_evaluation_assessment_on_the_management_of_general_government_finances.pdf. National Institute for Health and Welfare. (2018b). Terveys- ja sosiaalipalvelujen henkilöstö 2014 [Health and social care staff in 2014]. Retrieved April 15, 2018, from http://www.julkari.fi/bitstream/handle/10024/135915/TR_01_18.pdf?sequence=1.